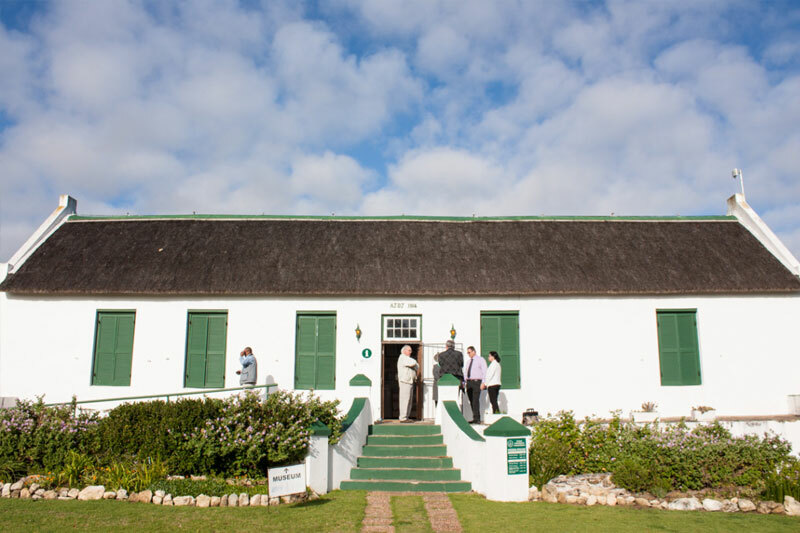 Visit tourism bureau housed in the Palinggat Homestead in Stilbaai where you will see the only tame eels in South Africa being fed in the fountain adjacent to the historic homestead. These freshwater eels belong to the Anquilla genus of the family Anquillidae. The eels in the Palinggat Fountain have been living here for the past 125 years. These eels move to a specific area in the ocean to mate and spawn. The larvae are carried to the mainland of Africa by ocean currents. The environment at the Palinggat Fountain seems to be ideal for the eels. Nowhere else in the country are so many eels concentrated in one secluded environment and as tame as the Palinggat eels. They are pampered and cherished by the staff of the tourism bureau and are hand-fed daily on chicken livers which is open for viewing by the public. Make sure you are there just before 11:00 from Monday to Saturday.